Daily Mirror - Where are all the lyricists? Where are all the lyricists? The poet is a curious creature. He does not pander to the majority, but his role is that of a public voice. The language he resorts to thus cannot be esoteric or obscurantist, because by definition, being a poet, he cannot obfuscate. So he gets entangled in a strange conundrum: he has to speak to the people, but not in the language of the people. He has to be the voice of an entire collective and identity, yet strike some sort of a balance between the emotions of the majority and the aesthetic sensibilities of a minority. This is as true for Sinhala society as it is for other societies, here and elsewhere, so from the oldest scribe to the youngest radical, it is this challenge which distinguishes the written word from the visual arts. Moreover, what is true here of the poet and his verses is to a large extent also true of the lyricist and his songs. He may be more popular, he may have to tone down his language to appeal to a broader base, but essentially, there cannot be a world of difference between these two people. In “Modernizing Composition”, Garret Field charts the evolution of the Sinhala song. It is an admirable piece of work, particularly considering that Field, who completed it via a Fulbright-Hays scholarship and two years of extensive research in the country (packed with conversations with various veterans in the field), took the trouble of studying and to an extent mastering Sinhala before embarking on his enterprise. The book deserves more than a sketchy review, and not being a student of music, much less of literature, I am unable to pen down more than a few thoughts. Reviewing it in whatever way, however, is not my intention here. My intention is to ascertain how poetry and literature coincided in the context of the Sinhala song and how this may explain an insidious conclusion I’ve drawn from the many conversations I’ve had with people: that the Sinhala lyricist, as we once knew him or her, is nowhere to be found. 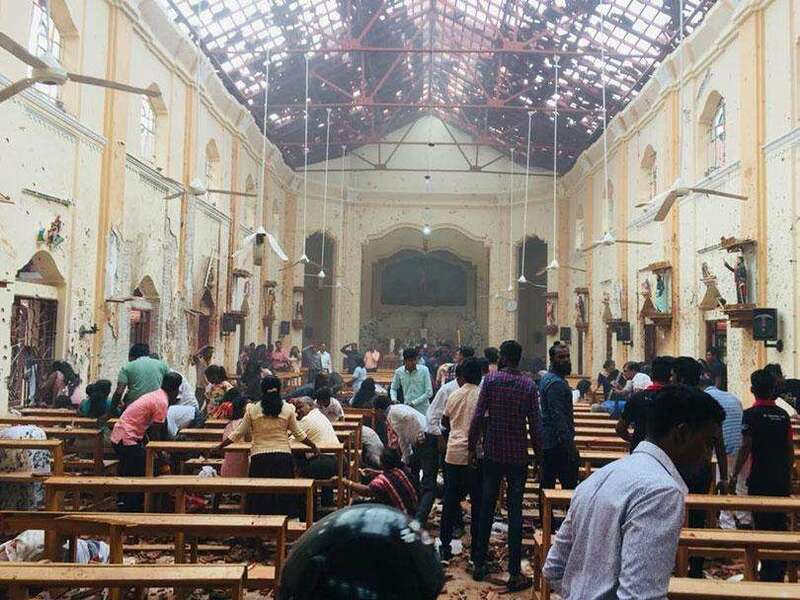 This is not to suggest that the lyricist in Sri Lanka is dead. There are songs, a great many of them, which make the rounds every day on television, radio, and more than both these, the internet. We expect Iraj to come up with a new music video every other month, packed with the requisite level of controversy. His songs make no sense if you read into them (those of the early Iraj did), but that is because we are not meant to read them; we are supposed to be awed by the visuals (which are deep or disgusting, depending on how you view them). On the other hand there are the proponents of popular adolescent music: Sanuka, Nadeemal Perera, Lahiru Perera, and those never-ending boy bands that release covers. On average, a band transits from such covers to original pieces after three or four years, but that is an average, and most bands I know, even after five or six years, still resort to “remakes”. More often than not, they are formed to take part in competitions organised at school level, and if they win, they publicise themselves heavily by taking part in social welfare projects (like donating proceeds of concerts to cancer projects). They are also unknown to each other, which is why they sometimes pick on the same names: I know of two “Syrens”, for instance. The lyricist does not figure that prominently in this scheme of things. For one thing, covers do not require poets; they are based on works produced elsewhere. For another thing, the level of prose needed to titillate audiences is based on what the audiences have heard until then, so through ceaseless repetition, the same theme, reworked 10 times or so over, became a staple, a trend to emulate. Sarith and Surith Jayawardena, in 2016, came up with “Ira Wenas Wela”, which was not a “trendsetter” that forayed into that most emulated theme, unfulfilled and unrequited love. But while “Ira Wenas Wela” was different and did contain some reckonable lyrics (not least because they were written by the father of the twins, a teacher acquainted with both language and mass communication), it was a one-sided affair; Sarith and Surith are the only teenage vocalists I’ve talked to who have emphatically stated that they will not perform a song without examining its lyrics first. This attitude is not widely shared. Why, I can’t say. Field, in his book, makes a rather interesting observation: in Sri Lanka, which has never had a musical tradition of its own, the lyrics to a song have been regarded as a work in itself, a sample of artistic craftsmanship which should “stand on its own as a piece of literature” (as Mahagama Sekara put it in a lecture in 1966). Except for plays, where the script has an autonomous existence that can be reworked and reinterpreted in a hundred different ways if possible, there is no other art form in which this act of “autonomising” one element from every other is possible, and it is certainly not possible in Western societies, where except for literary geniuses like Bob Dylan and Simon and Garfunkel, the lyric cannot really stand up on its own this way. Consider a Sinhala song from the sixties, and compare its lyrics with that of a contemporary song, and you can see the difference: the lyricist has lost his footing, he is no longer able to stand on his own, he has become entangled in cheap moneymaking processes, he is a victim of the composer and vocalist, and he has become a second fiddle through this. Buttressing this is another interesting, though not unusual, phenomenon: the best young lyricists come from either the village or the fringes of the city. From the last 50 or so years only three lyricists, among the many I’ve come across, can be termed as urban versifiers: Premakeerthi de Alwis, Lucien Bulathsinghala, Saman Athaudahetti. This has nothing to do with their origins (Sunil Ariyaratne lived in Nugegoda, but I would hardly term him as an urban versifier), rather with the artistic temperament they have projected through their work. Premakeerthi was shaped by the Colombo poets (the idealisations of the female figure in his songs attest to this), Bulathsinghala’s lyrics reflect a wide ranging milieu which goes beyond the village, while Athaudahetti evokes a rural arcadia being “visited” by the metropolis (“Iri Thalunu Wala” is still a favourite among adolescents I know who scandalously profess ignorance of other songs by Amarasiri Peiris). Most other lyricists, even those who settled in Colombo in later years on account of their education or careers, remained at heart poets of the village. “Regardless of historical period, national development begins with the farmer,” wrote Madawala Ratnayake in his preface to Akkara Paha. That farmer came from the village; it was the village that these early lyricists returned to, frequently. The popular Sinhala song, from the nineties on, is the product mainly (though not jointly) of two lyricists: Nilar N. Cassim and the more flamboyant Wasantha Dukgannarala. I remember Upul Shantha Sannasgala interviewing Dukgannarala once and I remember him prefacing the interview with the following sketch: “’Duka’ hitapu gaman sindu liyanawa, keti katha liyanawa, ragapanawa, danweem hadanawa, sarama adinawa, thekka wikunanawa, company walata yanawa, bulath wita kanawa, denim adinawa.” That is the best description of the man I’ve come across until now. Born in Anuradhapura, and perhaps more ruralised than the Matara and Rahula College bred Cassim, he is a paradox, the sort that attracts both mystical praise and vituperative condemnation. In 2007, someone posted the following on an online forum: “Wasantha Dukgannaralage sampradaya grameeyada? Nagarikada?” That is a question to which no one, not even (I feel) Cassim, can provide a proper answer. He is of both worlds, yet belongs to neither. It is this curious paradox which found its way to the vocalists and the melody makers of subsequent years: rooted, but in a way also uprooted. Take three lyricists from the recent past: Manuranga Wijesekara (“Saragaye”), Sanuka (“Mayam Kalawe”), and the lesser heard of Ujitha Warnakulasuriya (“Rathriyak”). “Rathriyak” is the most profound Sri Lankan love song I’ve heard in recent years; it was written for Nadeemal Perera, who is better known for “Mayam Kalawe”. The differences in tone and temperament between these three singles couldn’t be more obvious: both “Saragaye” (“Niyarata... Mawanawa... Apathare... Wu katha...”) and “Mayam Kalawe” (“Mayam Kalawe... Saayam sinase... Payan sande...”) subsist on a fragmented aesthetic (the only rationale I can think of: the adolescent male, to whom both songs are addressed, are so blown away by the prospect of first love he can’t get beyond two or three words a line), “Rathriyak” is the sort of love song which can be read and read into (“Mata maath nomathi digu rathriyak pamani” takes from, and adds to, that other memorable one-liner, “Mata mage nowana magema adarayak thibuna”). 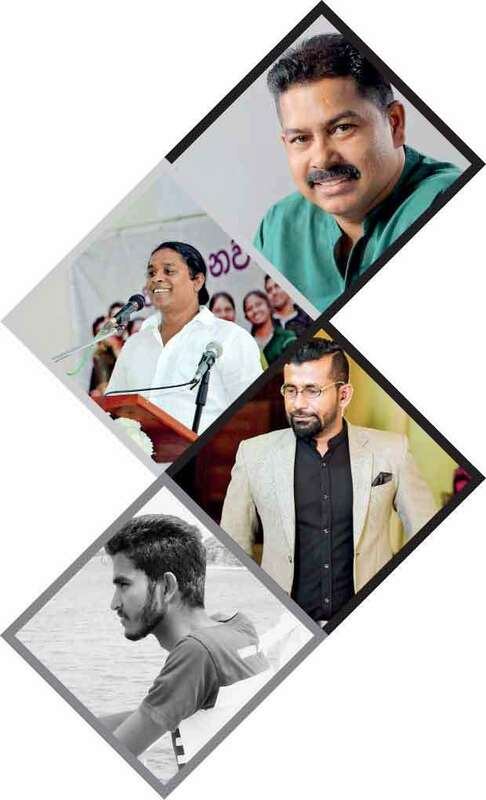 Origins go a long way here, I suspect: both Manuranga and Sanuka, while well versed in the aesthetics of poetry, are populists hailing from the metropolis (in particular, Sanuka), while Ujitha, an Economics undergraduate at the Sabaragamuwa University, hails from Ehetuwewa. Where is Ehetuwewa? Not many would know, and not many would be able to point at it on a Sri Lankan map. A tragedy? I should think so.